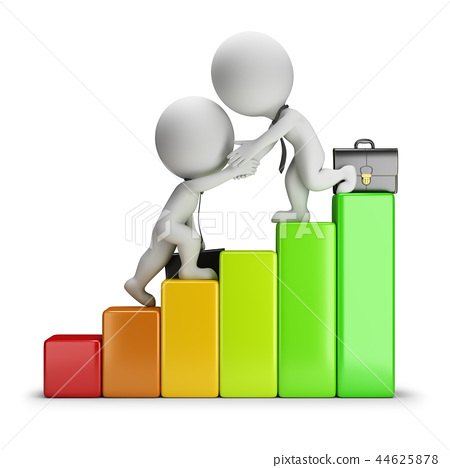 3d small people - business partner helps another partner to climb the levels. 3d image. White background.